08 February 2019 (Toronto, ON) - A year has passed since the untimely death of Icelandic composer Jóhann Jóhannsson. In tribute to an exceptional artist and musical storyteller, Deutsche Grammophon/Universal Music Canada, the country’s leading music company, is set to release a two-volume selection of his most important works. RETROSPECTIVE I will be issued on April 26 as a deluxe hardcover book edition with seven albums featuring Jóhannsson’s earlier works, including his previously unreleased soundtrack to the documentary White Black Boy. 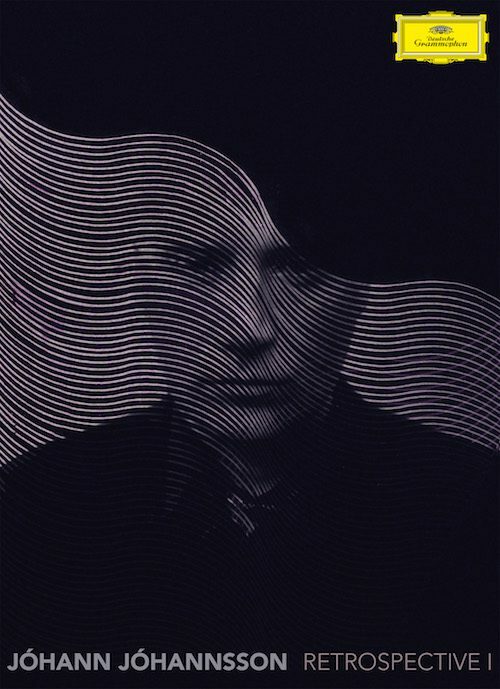 The phenomenal Jóhann Jóhannsson was, in his own words, “obsessed with the texture of sound”. Together with a serious dose of creative inspiration, that obsession enabled him to distil music into primal forms. He had a gift for bringing together highly complex themes and starkly contrasting musical ideas with both apparent ease and striking emotional directness. The composer died a year ago at the age of just 48. Born in Reykjavík on September 19, 1969, Jóhann Jóhannsson was involved with music from an early age. As a young man he played in various rock and pop bands and was part of Iceland’s indie scene, before eventually deciding to focus on writing music rather than performing. His debut album, Englabörn, which came out in 2002, reveals that even at that early stage, he was already a master storyteller, a composer who could translate feelings and emotions into powerfully atmospheric soundscapes and compelling musical portraits. Jóhannsson gained international renown for his 2013 score for the film Prisoners – just two years later he won a Golden Globe and an Oscar nomination for the score for The Theory of Everything. A second Oscar nomination followed in 2016 for the thriller Sicario (2015). He went on to write the scores for the science fiction film Arrival and for The Mercy – the latter album was released shortly before his death; further Hollywood projects were in the pipeline. A pioneering figure in the contemporary music scene, Jóhannsson ignored the barriers between classical and electronic music. By fusing together Minimalist elements, traditional forms, symphonic expansiveness and both acoustic and electronic sounds, he created not only hypnotically lyrical images, but also an entirely new musical idiom. The selection of early works that have been chosen for Deutsche Grammophon’s RETROSPECTIVE I show Jóhannsson to have been a composer of imagination and versatility in equal measure. The earliest recording is Virðulegu Forsetar (2004), an hour-long elegiac work for eleven-piece brass ensemble, percussion, electronics, organ, and piano, recorded in Reykjavík’s Hallgrímskirkja. The soundtrack album Dís features an exceptional array of artists, including members of the bands The Funerals and Singapore Sling, and singer Ragnheiður Gröndal, who all give intensive voice to Jóhannsson’s melancholy narrative. And in the Endless Pause There Came the Sound of Bees – which weaves together orchestral writing with electronic synth sounds in unique style – was written to accompany the animated short Varmints, while The Miners’ Hymns is the audiovisual masterpiece that resulted from a hugely productive collaboration between Jóhannsson and American filmmaker Bill Morrison. The documentary soundtrack Copenhagen Dreams is Jóhannsson’s tribute to the city in which he was living at the time – a moving sound collage for string quartet, clarinet, celesta, keyboard and electronics. As for Free the Mind, it was written to underpin a documentary about the power of meditation, and is evocatively scored for orchestra, piano, percussion and electronics. RETROSPECTIVE II will follow in 2020, and will include, among other works, his more recent soundtracks for the films Arrival and The Mercy and the 2016 studio album Orphée. The albums of the RETROSPECTIVE edition will also be available digitally.